John Speers grew up in the San Francisco Bay Area, where he performed the with San Francisco Symphony Youth Orchestra and the Young Peoples' Symphony Orchestra in High School. He graduated the University of Michigan in 2011 with a Bachelors Degree in music performance. Following his graduation, he returned to the Bay Area, where he currently resides. He received his Masters Degree in music performance in 2015 from the San Francisco Conservatory of Music. Following his masters degree, he received his music teaching credential from Saint Mary's College. He now works full time as an elementary school music teacher in Lafayette. 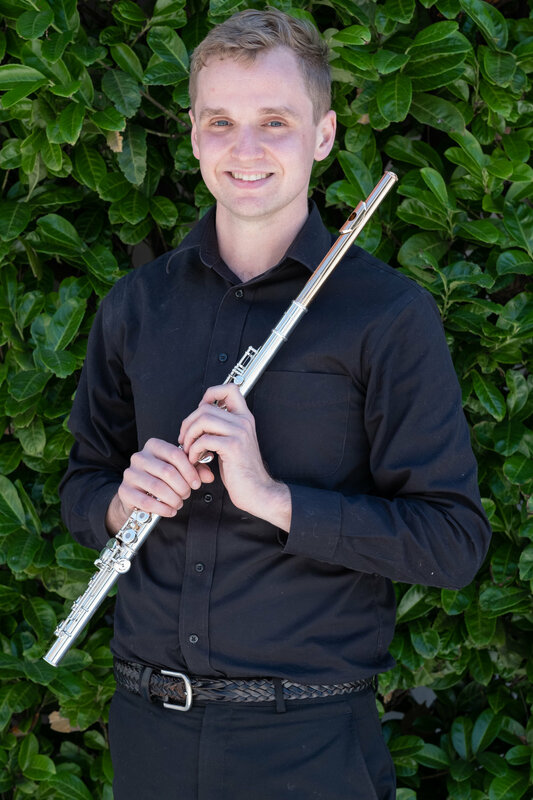 Outside of his elementary school job, John freelances with different orchestras throughout the Bay Area and works as a private flute teacher in Oakland and Lafayette. He performs on a Pearl flute and a Zentner piccolo. Teaching is my true passion! I teach mainly in Oakland, in my home studio, and in my Lafayette studio, located at the Lamorinda Music Store. All ages are welcome. I am committed to molding each student's lesson to fit their needs, abilities, and what they desire to improve on musically. I believe in providing all my students with the best possible lesson experience! I am also flexible with rates, depending on peoples' individual needs. Fill in the form below to contact John regarding lessons or performances. Come hear a magical performance of flute and oboe music featuring flutist John Speers and oboist Shandra Stiemert, peforming works by Dring, Godard, Debussy, and Rossini!